In the last few weeks, life has really turned upside down. The plan had been that the Stour Valley 100km would be my last race until the new year, as I had left my job, Francis was taking a sabbatical from work, and we were embarking on a 10 week backpacking trip around South America at the beginning of September, which we've been planning for the last 9 months. Tragically though, in the week before we were due to fly to Ecuador, my father-in-law was taken unwell, admitted to hospital, and very suddenly we were hearing a consultant telling us that he has cancer, which has spread through his body. We cancelled our trip, and were visiting the hospital every day. Running dropped right down to the very bottom of my priority list. My father in law has been discharged now, after the hospital were able to alleviate some of the worst symptoms he was experiencing, and is at home awaiting some further treatment, but the cancer is incurable and advanced. He has become frail and we can do little to help other than continue to visit, while my brother in law has moved in. Francis goes to see them and help out every day, and I go every couple of days. It is a terribly sad time for everyone. To try and bring something positive into all of our lives at this time, we brought forward a plan that we had for when we returned from travelling at the end of the year - our plan to get a puppy. So, we have now welcomed a new addition into our family. Chewie (short for Chewbacca) is 9 weeks old, a Brittany and Springer Spaniel cross, and he's absolutely lovely. He's a lot of work, what with getting through the night, house training, trying to avoid separation issues, training him and keeping him stimulated, but he's worth it. One day, when he's old enough, I hope he will become my running partner. What with looking after Chewie (and the resulting lack of sleep), dealing with the sadness around what's happening to my father in law, trying to support Francis as best I can, and visiting, I find that I'm struggling to find the time to run, especially as it has continued to be low on the list of priorities. To add to the current stress levels, this week we've also had a water leak at home, and a significant repair job is now underway to replace pipework and damaged flooring. I'm eating huge amounts of comfort food, doing little exercise, putting on weight, and feeling my fitness drain away. I seem to have excluded myself from my relationships online, on Facebook and Twitter, where I have always found so much support, and everything just feels like it's such a challenge for me at the moment, although obviously it's nothing compared to what my father-in-law and Francis are going through. I think I took my life for granted a few months ago - I moaned about not liking my job, and losing motivation to run, but actually everything was nigh on perfect. I just didn't realise it. It's only now that life's particularly tough, I can really see what a good thing I had going on. 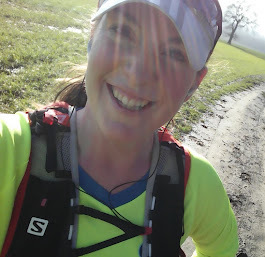 My running has always been important to my mental health and I feel much less stressed, able to cope with difficulties, and generally happier when I'm clocking up the miles. It also defines me to a certain extent - "I call myself a runner" - but now unemployed and not planning to return to work until the new year, not going on our long-planned backpacking trip, and without any races on the horizon or proper training being done, I feel that I've totally lost sight of who I am. This isn't helping me cope with everything, so to try and keep myself strong enough to help the rest of the family, I have to find the time and energy to get back to running. It's the only thing I can really control. I can so relate to this Naomi. Having moved in to care for my terminal mum, running has been at the bottom of my list. Together with a poor diet, mostly junk, I feel unfit and sluggish. Running, for me, is a release and I was missing it terribly so a couple of weeks ago I put my running shoes on and got back out there. It was really tough, feel as if I'm staring from scratch but today I'm having a go at a half marathon. A few months ago this would have been a breeze but with 3 months of not running it will be a struggle. Added to that, I don't have the company of my best pal and running buddy - my dog - as she's at home with hubbie. So, just to say really, that I feel everything you feel and if you'd like some outside support just contact me at ginnyrin@tiscali.co.uk. I'm working for a German/Britsh supplement manufacturer and we've lately re-launched our shop. Would you probably be interested in checking out some supplements for free? Is there any possibility to get in touch with you?